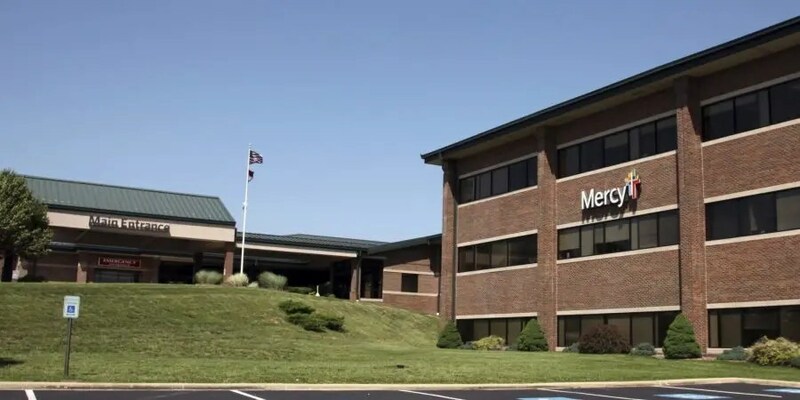 Mercy Hospital in Lebanon, Missouri is a 78-bed acute care medical facility. Their experienced team of professionals delivers the highest quality healthcare, and they believe that exceptional care should always be available close to home. They offer a full range of services including a 24-hour physician-staffed ER, inpatient care and outpatient procedures, general surgery, obstetrics and gynecology, clinical specialty procedures, and physical, occupational, and speech therapies. These are just a few of the services provided at Mercy Hospital. Crystal Ray is a registered nurse at Mercy Hospital and the manager of their Wellness Services and Occupational Medicine Department. This department provides occupational health services to a variety of industries located across the state of Missouri. Crystal and her team also perform occupational hearing testing. According to the Center for Disease Control (CDC) approximately 22 million Americans are exposed to hazardous noise at work. The Occupational Safety and Health Administration (OSHA) guidelines require employers to establish and maintain audiometric testing programs that include baseline hearing testing, annual hearing testing, training, and follow-up procedures. These tests must be provided at no cost to all employees who are exposed to hazardous levels of noise in the work environment. Crystal and the Wellness Services and Occupational Medicine Department provide this service for her clients at Mercy Hospital. Although the hospital has a soundproof booth, it is located on the opposite side of the hospital campus from her clinic. They have an audiologist that comes in a few times a week to perform occupational hearing tests in the sound booth, but when the audiologist isn’t there the booth is reserved for other purposes. This was causing scheduling constraints, and Crystal was not able to see as many clients in her clinic as she would have liked. Crystal purchased SHOEBOX Audiometry, which is an iPad-based audiometer. It conforms to the Occupational Safety and Health Administration (OSHA) requirements of a clinical audiometer and can be used to perform diagnostic threshold testing. SHOEBOX has been clinically validated by peer-reviewed research to function as well as traditional audiometers outside of a sound booth. SHOEBOX offers an automated testing mode, making it simple and easy to administer hearing tests, even for even non-hearing professionals. What this has meant for Crystal and her staff is that they can now schedule hearing tests at their convenience – they are no longer bound by the availability of the sound booth or the part-time audiologist. And although the Council for Accreditation in Occupational Hearing Conversation (CAOHC) has certified Crystal to perform audiometric hearing testing, not all of her staff has this accreditation. That’s ok. They don’t need it to administer hearing tests with SHOEBOX. SHOEBOX can be used in two modes – automated and manual. In manual mode SHOEBOX functions like a traditional audiometer, giving the tester complete control over settings and how to administer the test. But in automated mode, the client runs through a series of exercises where they click on an image on the screen, and drag it in one of two directions depending on whether or not they hear a sound presented at various frequencies. SHOEBOX can be operated like a game letting the clients virtually test themselves. What Crystal’s clients love best about SHOEBOX is that she can now travel to them. SHOEBOX is exceptionally portable (it is comprised of just an iPad, software, and calibrated headphones), and since it can be used outside of the sound booth, she can perform the hearing tests at her client’s facility saving the employees from taking valuable time from work to visit her at the hospital. “Using SHOEBOX has vastly increased the number of audiograms that I can produce. Before purchasing SHOEBOX I set a goal to perform a certain number of tests this year. It has only been 3 months since we started to use the tablet audiometer and I have already achieved 70% of my goal,” Crystal Ray, registered nurse and manager of the Wellness Services and Occupational Medicine Department at Mercy Hospital, Lebanon Missouri.